Friends, family (Hi Mom! 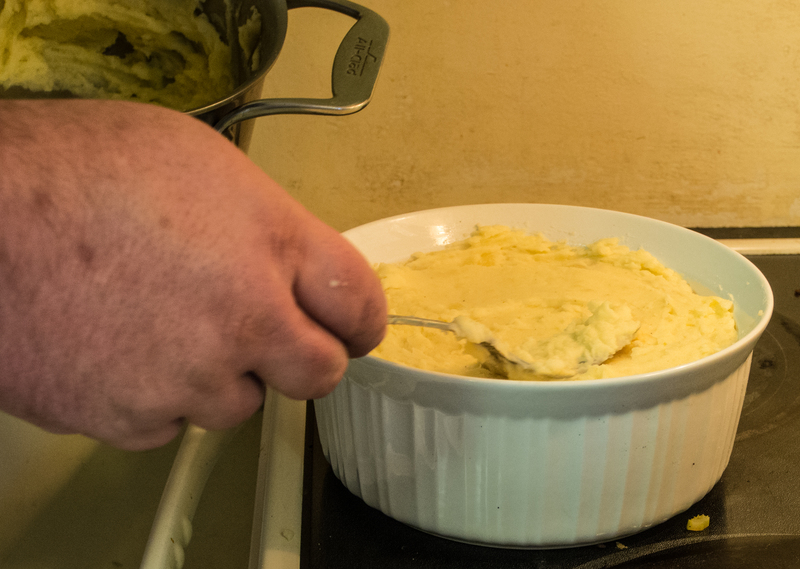 ), I could have posted a wonderful recipe for Shepherd’s Pie with great pictures. But, it would be lies. LIES! This Shepherd’s Pie was a disaster. Actually, it wasn’t. It wasn’t a disaster until I added Guinness Beer. But, let me start from the beginning. I love Shepherd’s Pie. The first one I had was at a little restaurant called Galway Bay in Annapolis. Long before carbs were evil, a dish consisting of ground meat and veggies in gravy covered with mashed potatoes was just awesome. I could say it was better than pot pie because I wasn’t eating pastry. Ha! One of the first recipes my husband and I made together was Cajun Shepherd’s Pie by Paul Prudhomme in his fantastic Louisiana Kitchen. That recipe was really long and had a ton of ingredients and took us hours to make (not a good call when starting at 6 pm! ), but it was fantastic. I introduced my husband to cajun spicy, which is a wicked combination of white, black and cayenne peppers. Chicken Big Mamou remains a dish to this day that will live in infamy as the one spicy dish that was just too much for him. Don’t get me wrong, he ate it, but he did it for “macho” reasons, not because he liked it. He was sweating bullets and beet red. My mom made the Chicken Big Mamou and was quick to say, “but I cut the cayenne in half!”. So, I have a long and fond relationship with Shepherd’s Pie. Until now. 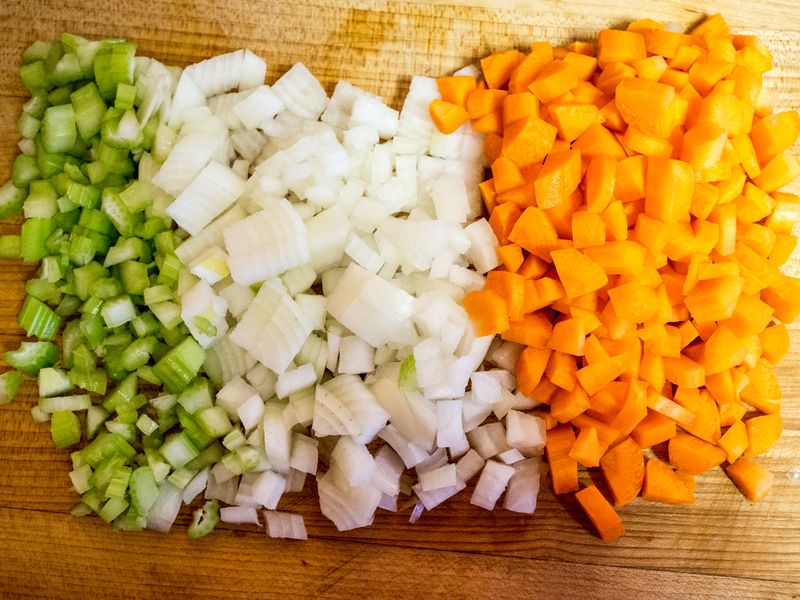 For St. Patrick’s Day my dear son asked me to make Shepherd’s Pie. Sounds great!! Very Irish dish. I got ground lamb, carrots, onions, celery and potatoes. And, a bit of Guinness. Lots of recipes on the internet called for that as the liquid to form the gravy part of the pie. That was my fatal mistake. The recipe was progressing so nicely. The pictures were lovely. The gravy bubbled up and was the correct consistency. Then I tried it. At first is was really good, then it hit you like a bad odor. What was that awful taste? I tried again, no surprise, it was still there. Took it to my husband and before he could get the whole sentence out he sputtered, “honey this is gr…oh God, what’s wrong with it?”. Exactly. The Guinness. So, I could have pretended all was well, changed the recipe from Guinness to “stock” or “water” and gone my merry way. But no. If Julia Child can drop a chicken on TV, rinse it off and keep going, so can I. And that’s what I did. I rinsed everything off. Made a new roux, used beef stock and kept going. Keep Calm and Carry On. Stiff upper lip and all. I will even include the pictures. Fun! Lesson learned. 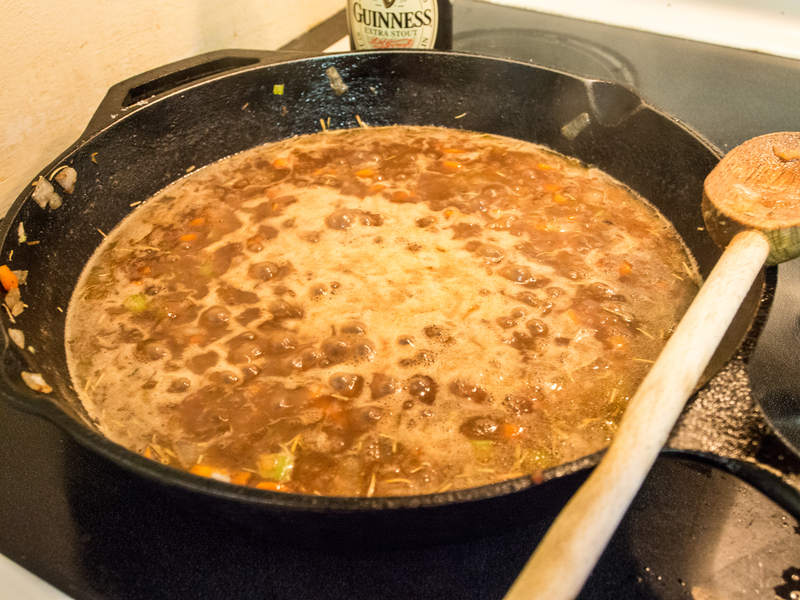 Keep Guinness Beer away from the Shepherd’s Pie. 3 lbs yellow or gold potatoes, peeled, diced and covered with water. Bring potatoes to a boil and boil until fork tender. While the potatoes are boiling, heat fat (I use lard) over medium high heat in sauté pan. Sauté lamb until mostly done. 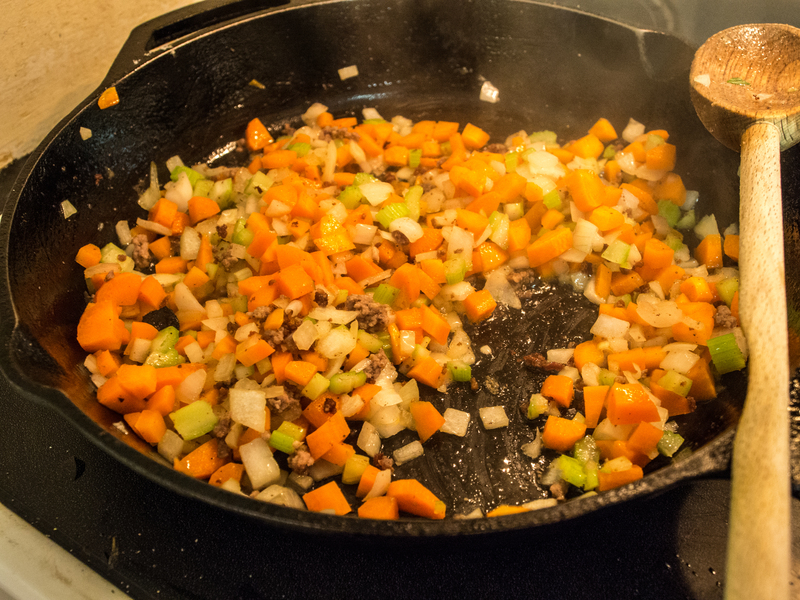 Remove from pan and sauté onions, carrots and celery. 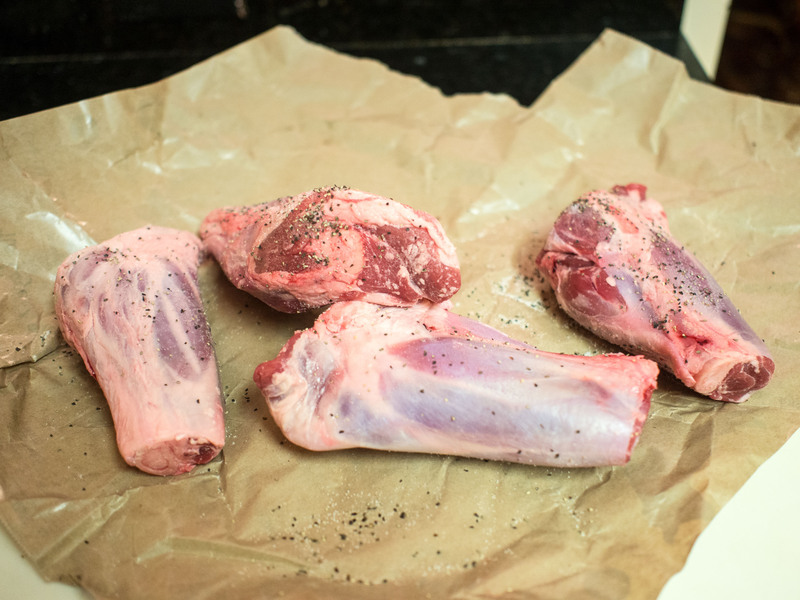 Return lamb to pan, add spices. 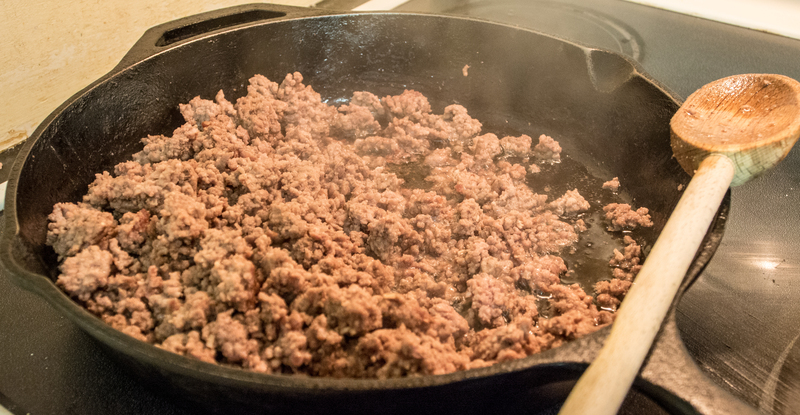 Saute until flour is browned and lost its raw flavor. Add stock slowly. Stir between additions. Add enough stock to bring the mixture to the thickness desired. Lovely. Tasted awful. The offending ingredient looks on in rapt joy at the destruction wrought. 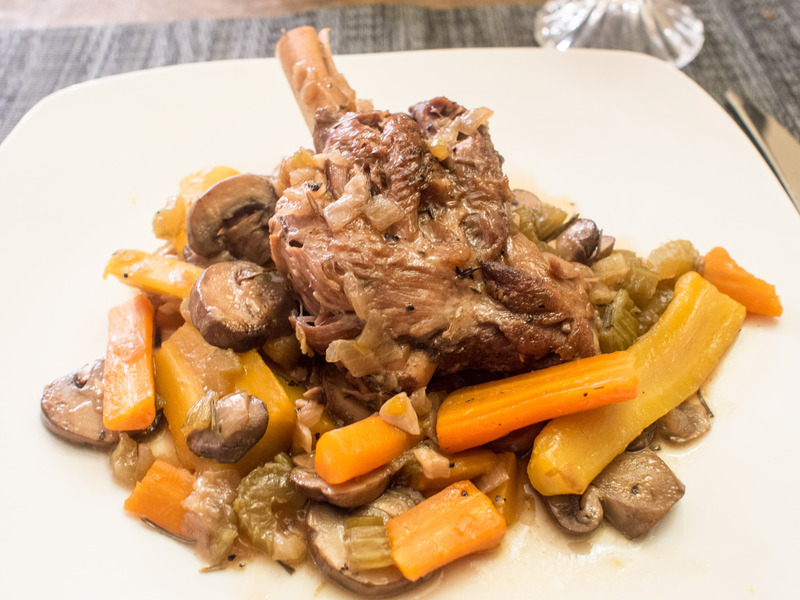 Place your wonderful meat and veggies sauce in a suitable oven dish. Remove potatoes, add butter and cheese and mash potatoes. Add milk until you get the desired consistency. 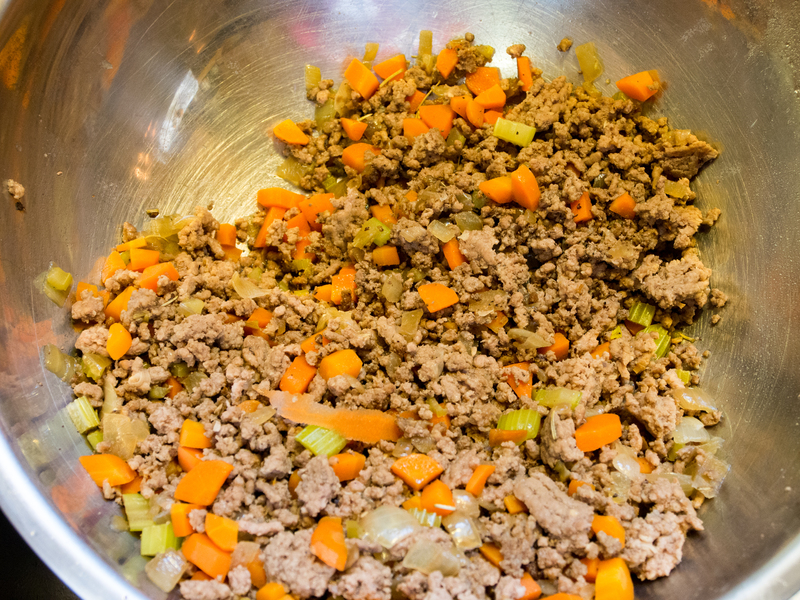 Place on top of meat mixture. In the end, it was awesome, despite the hiccup! Place dish in oven and heat through, about 20-30 minutes. If you want the potatoes browned on top, add additional butter to the top of the dish before baking. This entry was posted in Lamb, Main Dishes and tagged Galway Bay, Guinness, Irish, Lamb, Paul Prudhomme, Potato, Shepherd's Pie on March 31, 2013 by dawn of food.